Who would ever imagine that I would go from being a SAHM of 2, to owning and operating my own company - certainly not me!. Here is a little history on how MDesigns was 'born' - this is an excerpt from the first article written about me and my company. "A stay-at-home mom has taken an idea and her sewing machine and turned it into an emerging business that sees her eco-conscious baby products being sold worldwide. The idea for Maggie Chilton's home-based business Maxwell Designs started when she was four months pregnant with her first child, Maxwell. 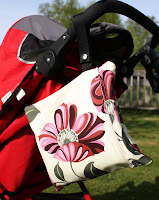 She was looking for a diaper bag, but didn't want to go to a big box store and didn't want it to look like a diaper bag. Then she got a $400 sewing machine and she hasn't looked back, making baby products that are Eco-friendly. 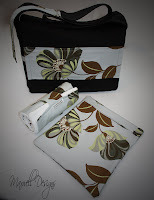 She uses hemp or natural cotton materials to make her designer diaper bags, slings, change pads and baby clothes. 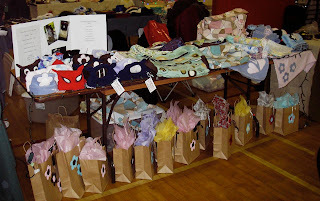 Her first Christmas Craft Fair in (Kitimat) in December 2007 was successful enough to urge (her) to set up a booth at the Farmers Market in Terrace in (2008)". So there is a little about how I got here. 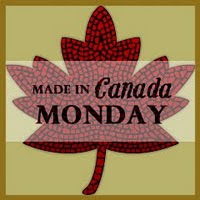 I now have 10 retailers in Canada and the States and have sold as far a field as South Korea and Ireland. I truly love what I do and I get such a buzz out of creating products that people use on a daily basis and have more often than not, had a hand in designing. My product has been through a few changes since 2007 but I think I have come to a point where I am very happy with my product and the level of quality I look for in a product. I love feedback and always take peoples suggestions and ideas into consideration. If anyone is thinking of starting a business from home making products - all I can say is "just go for it" - I have met the most amazing people through Twitter, Facebook, Blogging and so on - I had no idea there was such a huge community of women out there who care so much about their environment, how we see it and how we can make it better......until next time...here is a picture of the little person who inspired a company. 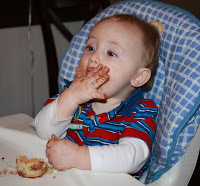 When deciding what the first post of 2010 should be, my mind wandered to my oldest Son's upcoming 3rd birthday bash. What was I going to do? I don't think I want to go the 'theme' route, or go all out - after all its really the parents who get the most out of children's birthdays for the first few years isnt it? 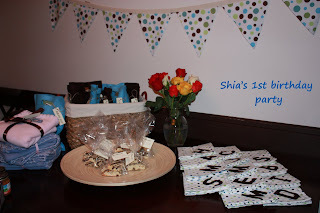 I thought back to my youngest son's 1st birthday party were I went all out and made virtually everything myself - with an eco-conscious theme running through it. Here is a little of what I did. I throughly enjoyed making everything but it was a big undertaking and I am not sure I would go that far again. 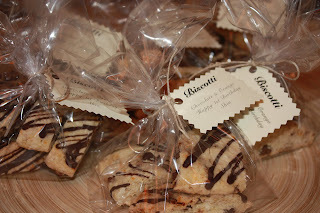 I made biscotti instead of adding the usual candy to the loot bags - (chocolate orange) - mainly for the parents to enjoy as they get left out most of the time. I monogrammed all the napkins with all the guests initials. The napkins I made as a keepsake idea out of flannel and made the initials out of felt. I made all the loot bags out of felt and appliqued designs to make them more colourful. I asked Tara, one of my retailers, at The Happy Tree (Terrace), if she would donate some samples of soap nuts and discount coupons and she happily agreed. I also asked a friend if she would like to offer a discount on her photography packages. 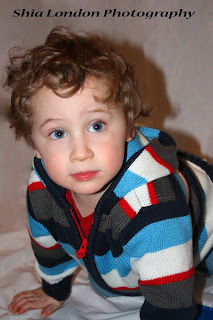 I also made fleece hats for all the 'older guests' and stroller blankets for the little guys. After all Shia's birthday is in October and it gets pretty chilly here in the North. I think a great time was had by all, I certainly enjoyed making everything and thinking of each child I was making it for. The only money I spent was on the food for the day (we wont go into that little chestnut :-) and I made the cake instead of buying one. After all that, would I do it again.....absolutely. NEXT MONTH WE ARE HAVING A HUGE GIVEAWAY MONTH!! who will be filling it with wonderful cloth diapers!! Keep coming back to make sure you dont miss out on how to enter to win!